Today was Tech Day for the ‘Wretch Like Me’ team. 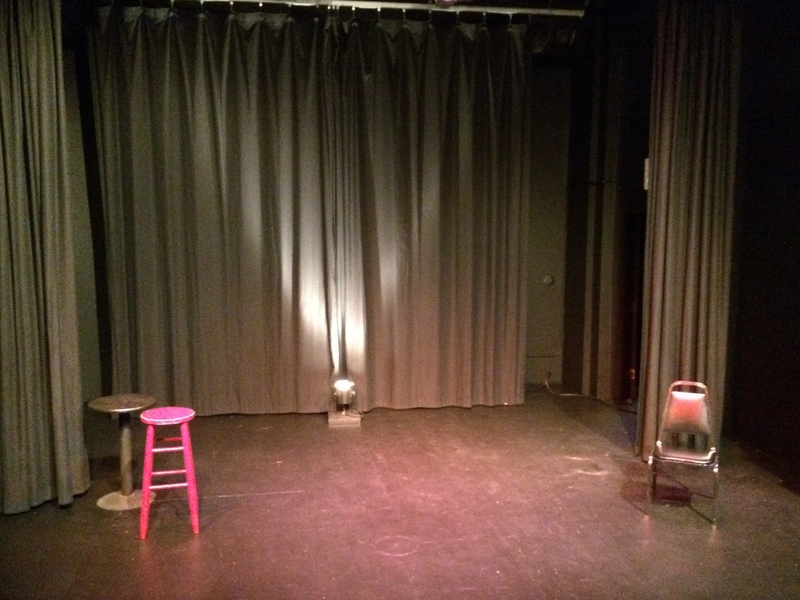 At the Fringe, each production is given a three-and-a-half hour slot to figure out any tech issues related to presenting their show. Since there is a very short window of time between shows, one of our jobs today was to rehearse the load-in process of setting up the stage, patching in the computer to run sound cues, setting the lights the way they need to be for the audience when they walk in, and launching any house music planned during walk in. We have a total window of just fifteen minutes. Our practice load-in took exactly . . . 90 seconds. What can I say? We’ve done this show a few times. Then, with stage manager Robin tucked away inside the tiny (and hot!) 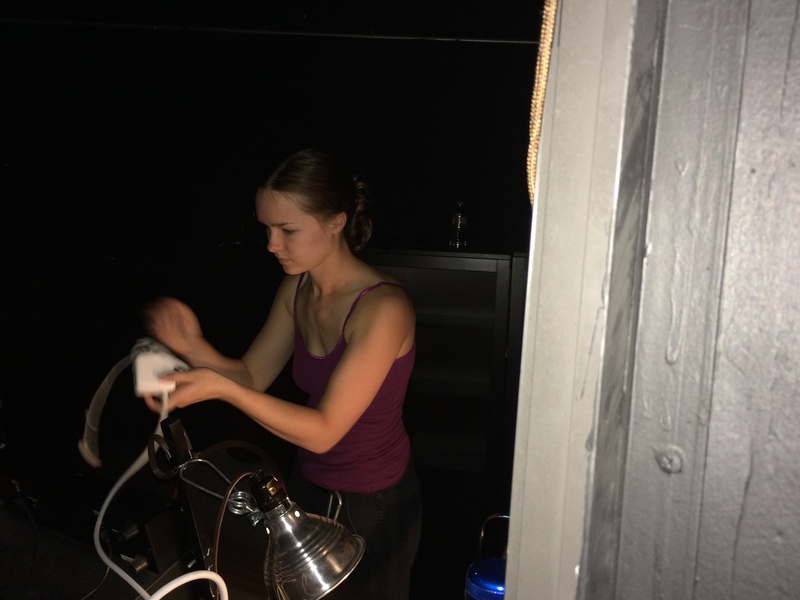 tech booth, we ran the show, from beginning to end, with Brittany, our house tech liaison, as our audience. The stage is fairly large, compared to what we had last summer in Edinburgh, so half of the run-through included keeping an eye out for ways to use the expanded space for more than just walking from stage left to stage right as I tell the story. I can actually walk forwards and backwards. Limitless possibilities open before us. Sunday, September 13, at 4:00 pm, is the first performance of 4 at the Fringe.